'Better More Surveillance than Another 9/11' A panel of experts debates the notion that more domestic surveillance in the United States is better than the risk of another terrorist attack like the one on Sept. 11, 2001. Opponents of government snooping say that diminishing civil liberties plays right into the hands of terrorists. Erik Haugsnes displays a sign referring to President Bush during a February 2006 protest in Chicago of the administration's domestic wiretapping program. The American people have long debated how best to balance protecting individual liberties while assuring public safety. The intensity of this debate increased markedly in the aftermath of the Sept. 11 attacks, which prompted the Patriot Act and other legislative initiatives. The moves were designed to increase protection against terrorist attacks, but they also allowed increased government scrutiny of individual activities. The question of whether it is better to have more domestic surveillance than another Sept. 11-like attack was recently posed to a panel of experts in an Oxford-style debate, part of the Intelligence Squared U.S. series. The debates are modeled on a program begun in London in 2002: three experts argue in favor of the proposition and three argue against. In the latest debate, held on April 18, the formal proposition was: Better More Domestic Surveillance than Another 9/11. 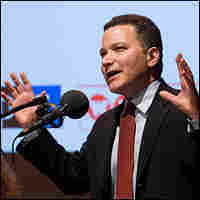 The debate was held at the Asia Society and Museum in New York City and was moderated by ABC News Correspondent Chris Bury. In a vote held before the debate, 41 percent of the audience supported the proposition and 37 percent opposed it, while 22 percent said they were undecided. After the debate, the audience voted 39.5 percent in support, 55.6 percent against and less than 5 percent undecided. 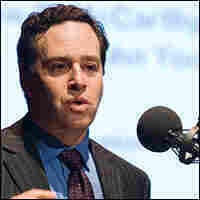 David Frum, author of five books, including An End to Evil: How To Win the War on Terror with co-author Richard Perle, says: "We are here to uphold a new level of surveillance, that is not made up of new techniques; it is made up of very familiar and traditional techniques, as my partners will argue, that is not onerous, that is not burdensome, that leaves all legitimate freedoms and privacies intact, and that is abundantly worth it, and in fact has proven over the past half-decade, has proven in the acid test of experience its merit. The terrorists are finding it harder to coordinate, they're finding it harder to communicate with each other; they are under crushing international pressure." Andrew C. McCarthy, a senior fellow at the Foundation for Defense of Democracies and a former assistant U.S. attorney in New York, says: "All of our liberties are precious ... but none of our liberties is worthy of the name unless we can secure the country. And all our liberties are valuable, but none of them is as valuable as the collective right to life that belongs to all of us collectively together in our national community. To protect that right we have to do surveillance. We're fighting an enemy that does not have a territory to defend. It does not have a treasure that we can destroy them by taking. Our only, only defense is surveillance: finding out who they are, trying to figure out what they might strike next." 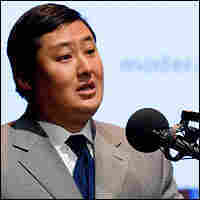 John Yoo, a professor at the University of California at Berkeley School of Law and a former deputy assistant U.S. attorney general, says: "I'm not saying that we should go all the way over to security or all the way for civil liberties but there is a balance, and there is a tradeoff, and having more civil liberties can have a cost of security, just as increasing security can have a reduction in civil liberties. Also, let me admit that in past wars the government has reduced civil liberties. But I would say: If you place it in historical perspective, those reductions of civil liberties are far greater than anything we're experiencing today." 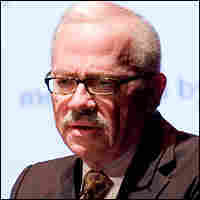 Bob Barr, a conservative former congressman from Georgia who served on the Judiciary Committee, says: "Look at what we're talking about here, we're not talking about the legitimate function of government in a national security context ... to gather intelligence on foreigners, foreign intelligence. What we're talking about is our government surveilling us. And they ought to be held, and the Fourth Amendment requires them to be held, to a very high burden. Why? Because our founding fathers recognized ... that if we allowed the government to intrude into our lives, other than in those areas where it has an articulable, legitimate need to pierce that sphere of privacy that surrounds each one of us, if we allow that, then we are not free." 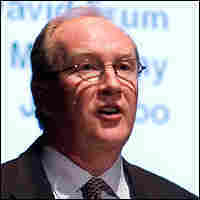 Jeffrey Rosen, a professor at the George Washington University Law School and the legal affairs editor of The New Republic, says: "History shows that every time the government has asked for and been granted broader powers of surveillance it has not directed those expanded powers against suspected terrorists but instead has used them to conduct dragnets — ineffective dragnets — that have menaced the privacy of innocent citizens without making us safer. The government used to only be able to engage in warrantless searches in secret without notifying the people whose data was being searched if they could prove in advance that the target was a suspected spy or foreign terrorist. But because of the changes in the Patriot Act, the government is now able to engage in secret warrantless surveillance of anyone's data, merely by asserting that the data is relevant to a terrorism investigation." 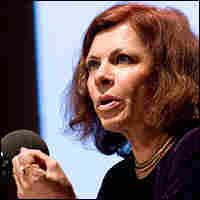 Nadine Strossen, a professor at New York Law School and president of the American Civil Liberties Union, says: "It would be tragic if we let the terrorists terrorize us into abandoning the very ideals that they attacked. And that is the key reason why you must vote no on tonight's resolution, why more domestic surveillance is not better than another 9/11. Indeed, with more surveillance of the type that has been proliferating since 9/11 — namely, surveillance that is unjustified, unwarranted, unchecked, not to mention un-Constitutional — with more of this kind of surveillance the terrorists don't need another 9/11 to accomplish their goals."